Tell us a little about yourself. My interest in history was sparked in grade school. I have a degree in English. I traveled around but returned to Ohio to raise my family. I visit schools, impersonating a character in my first two books, to show what pioneers endured to settle our land. What was your motivation behind this project? To get young readers hooked on history. What do you hope folks will gain from this project? To understand that faith was a key element in the settlement of the Ohio frontier. How were you personally impacted by working on this project? 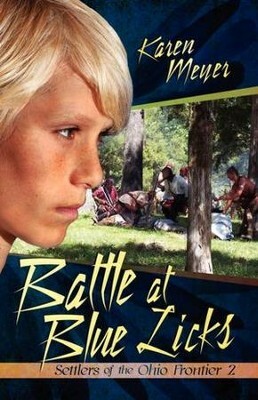 I met reenactors who were descended from those who fought in the first Battle of Blue Licks. Anything else you'd like readers / listeners to know: Historical fiction is a great way to learn as you enjoy an exciting story.